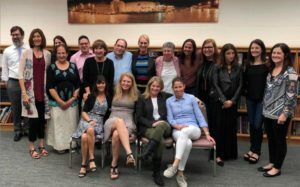 The Center for Adult Jewish Education continues to expand, as word spreads about our outstanding faculty and curricula. These classes are developed and taught by master educators in the community on a variety of subjects. When adults study Judaism, new meaning is brought to their lives. The Center is committed to providing our adult learners with access to Jewish learning at the highest level of excellence. This ongoing class is in its tenth year at the BJE. 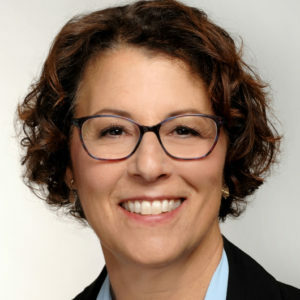 Master educator, Dr. Jane Shapiro, inspires students to dig deeply into the meaning of the Tanakh by way of ancient and modern commentaries. This group of students love learning together and see this class as an intrinsic part of their lives. The learning community reads the text carefully, sharing commentaries and adding midrashim for a strong literary approach both in chevrutah (partners) or as a class. Exploring the Tanakh meets weekly for 1 ½ hours from October through June. We are proud to continue to offer this outstanding, high level course to the community. Each of the three study sessions in the spring will be centered on crisis in our lives. Relying on source material from Biblical and Rabbinic texts, there will be discussions on the principles and interpretation of Jewish law over the centuries and how to apply these reponsa to contemporary dilemmas. 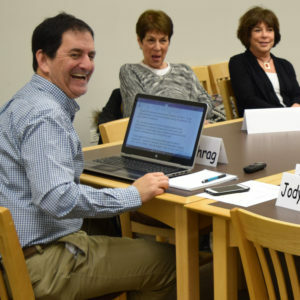 This popular “lunch and learn,” held at the BJE, attracts business leaders and serious learners from the surrounding suburbs for 1 ½ hours of lively debate and learning. Twenty to thirty learners typically attend this offering. 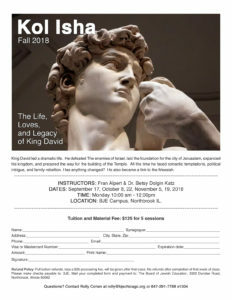 The dramatic life of King David continues. He defeated the enemies of Israel, laid the foundation for the city of Jerusalem, expanded his kingdom, and prepared the way for the building of the Temple. All the time he faced romantic temptations, political intrigue, and family rebellion. Has anything changed? He also became a link to the Messiah. Carl Schrag, former Editor of the Jerusalem Post, has turned this class into one of our most sought after learning opportunities. After successfully teaching the Rachel Wasserman Scholar Course, Beyond Borders: The History of the Arab-Israeli Conflict for two years to a large group of enthusiastic learners who were mostly Melton graduates, master educator Carl’s in depth course on current events has attracted many students. We are offering a Wednesday morning 15-session course beginning January 23 and a Tuesday evening 5-session course beginning April 16, 2019.